Transportation, economic development and drawing parallels in the two have been a subject of interest for a long time now. Studies have argued that the economic effects of transport infrastructure investments on the location are subject to externalities. Although most of the studies claim locational externalities to have imparted a large chunk in improving the economic development in the form of a spill-over effect of infrastructure investments, they have been mostly indicative. 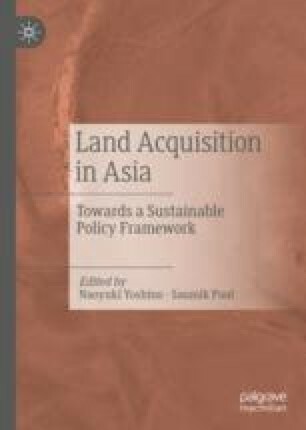 The chapter focuses on a lesser highlighted area of the sequence of decisions which create externalities over the period that either helps in attaining the envisioned development or completely changes the form of spatial development. Such susceptibility of the uncertainty of a positive spill-over gives rise to specific intertemporal concerns. Discussing the example of the Mumbai-Pune Expressway, located in an emerging economy like India, the chapter explains the process of decision-making which went in the process of adopting such specialized infrastructure known as road development plans. The study takes the case of the Mumbai-Pune Expressway and its surroundings to explain the effects of decisions made during the implementation of the project on the land. The chapter concludes that appropriate governance mechanisms like incentivizing through land trusts can most certainly bring in a positive spill-over effect of the infrastructure development despite intertemporal concerns. Hoover, E. M., & Fisher, J. L. (1949). Research in regional economic growth. In Problems in the study of economic growth (pp. 173–250). Universities-National Bureau. Retrieved from https://www.nber.org/chapters/c9514.pdf.